Medium Cradle is 20" high x 36" long x 14" wide x 8" deep (liner sold separately). Cradles come knocked-down for better shipping and storage. Legs attach rigidly with wing nuts. No tools needed. 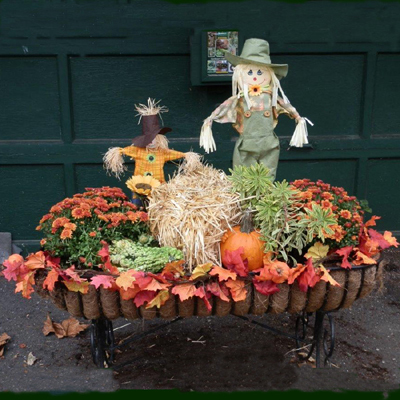 These freestanding planters look stunning planted with colorful flowers, foliage plants and even vegetables. They bring the pleasure of gardening within reach of people who cannot bend down to the ground. 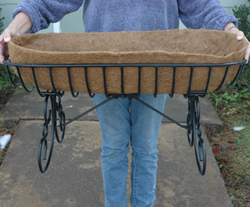 Cradles hold plenty of medium to promote lush growth and retain moisture. They can be used to frame a patio or pool area and fit nicely in front of a deck or porch railing. Natural Coco-fiber liner is item CLTC63 and can be purchased separately. 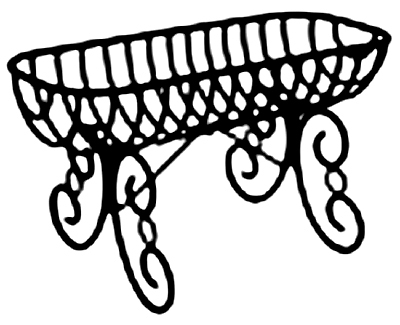 Click here to download assembly instructions for the Cradle Planter.